Too often I blog about projects that are stalled or in the middle stages of building. So here is something that's actually been finished in the last ten days or so. Both have been mentioned on here in their earlier stages so it seem only fair to display the completed models. 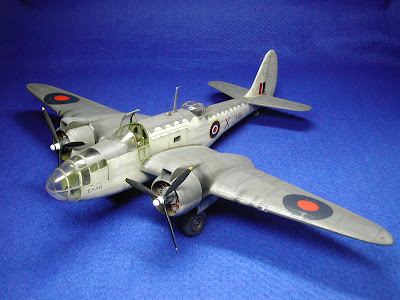 The Classic Airframes Martin Baltimore was first. 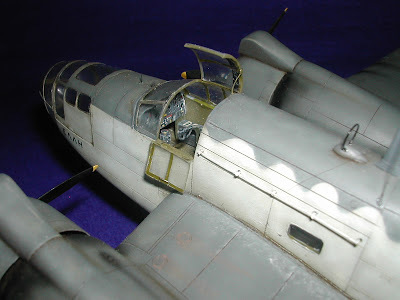 It gave me the usual CA difficulties; a very dusty enclosed cockpit area, which I overcame by cutting out the pilot's canopy hatch to clean inside. The engines were a poor fit due to the over-thick plastic of the engine cowlings, and rather than alter them I reduced the thickness. 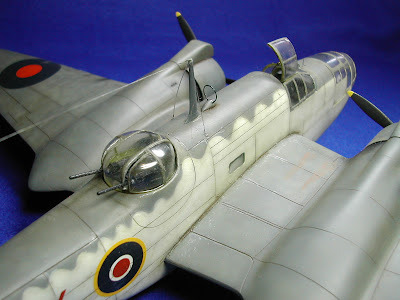 Still, the results overall were lovely, because it's such a detailed kit and you can't go far wrong. 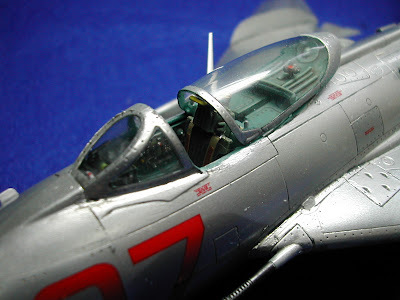 The other project, by complete contrast, is the MiG 19s from Trumpeter. Surprisingly this offered very few fit problems, and those were dealt with quite easily. Detail was excellent, the cockpit being particularly good. 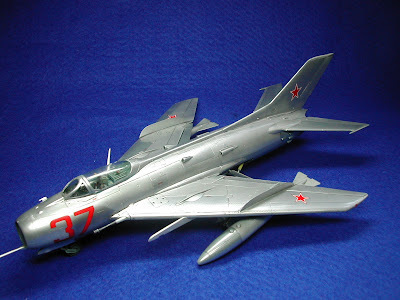 I'd love to build their 1/32 scale version of this aircraft, but this scale doesn't seem to be popular amongst collectors.